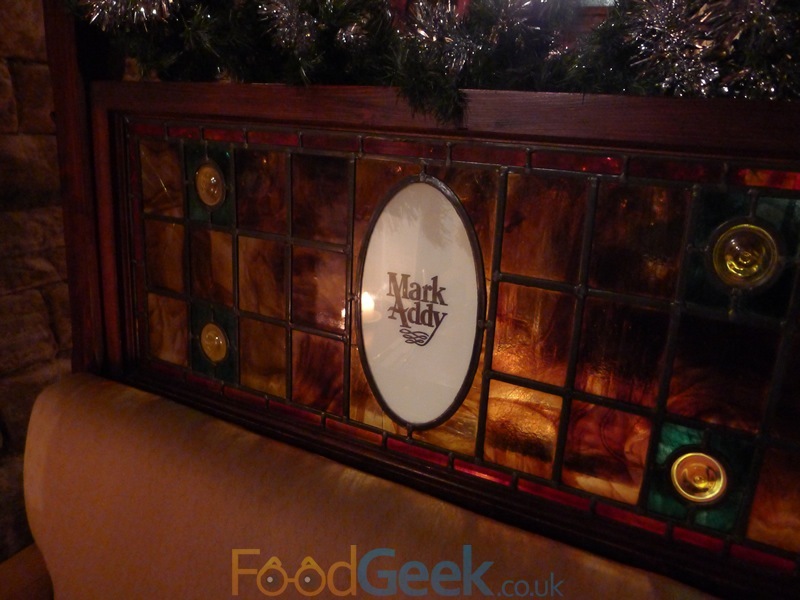 I loved my first Gastroclub experience at the Mark Addy in June where it returned from a year long break. I’d planned on attending more events but for various reasons hadn’t made it to any since. So when I heard about the return to the Mark Addy for the Gastroclub Christmas dinner I jumped at the chance and snapped up tickets immediately. 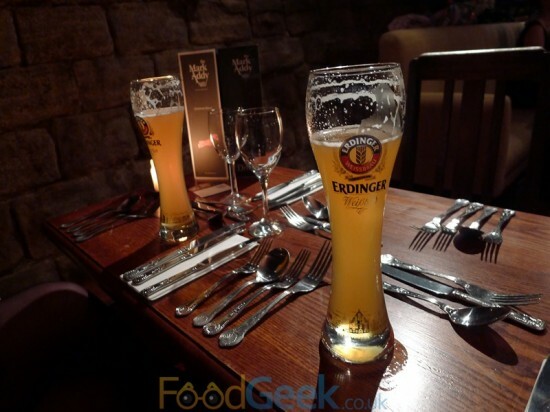 I’m so glad I did as we later found out it was to be the last ever Gastroclub event! 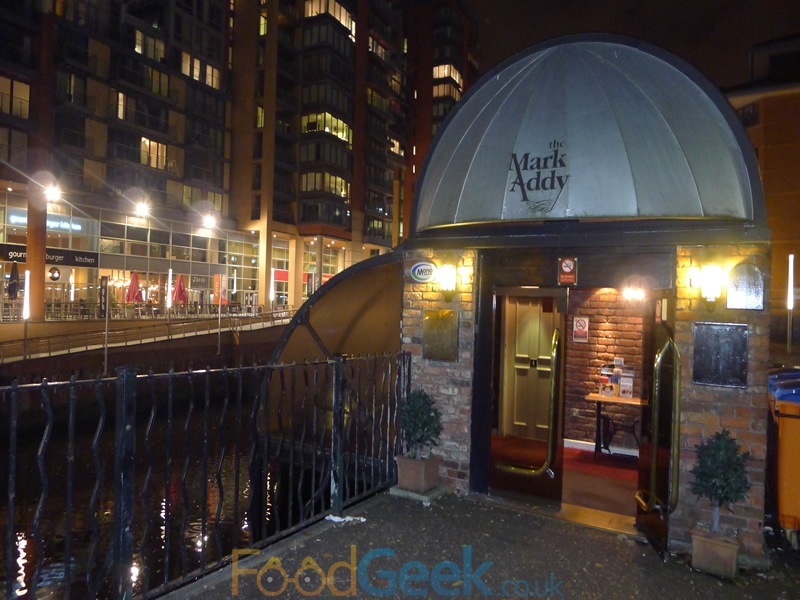 It was the first time i’d visited the Mark Addy after dark, the cosy riverside restaurant is even more inviting with it’s candle lit tables. It was looking particularly festive too. After ending up on the only table of 2 in the building at the previous event organiser Katie spotted us on a table set for 4 and insisted on moving us to one of the larger tables to ensure we weren’t left on our own again. Although i’d chosen that table as it had the best light for my photographs i’m glad she did as I had a lot of fun in the new spot. After a couple of drinks and getting hungrier by the minute head chef Robert Owen Brown made a rather long speech which appeared to be partly to allow the kitchen time to catch up after a visit from the environmental health earlier and partly to promote his book (he has a new book out and told us many times). Eventually the food started to arrive and boy was it worth the wait! Starting with ‘Crispy Clam’. 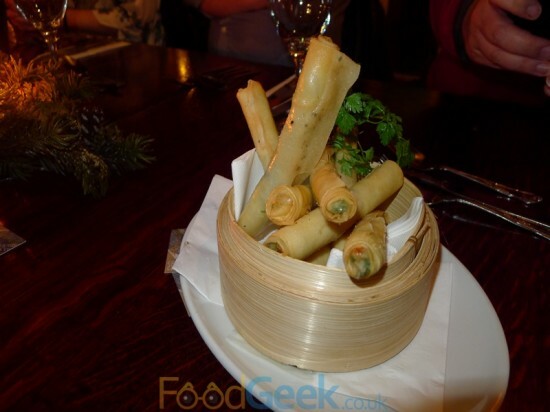 I was intrigued by this dish from the name on the menu, it turned out to be a sort of razor clam spring roll! A single razor clam wrapped in crispy pastry and deep fried. Filled with oriental flavours; chilli, coriander etc.. A fantastic idea, they tasted brilliant although it would’ve been even better to have a dipping sauce. 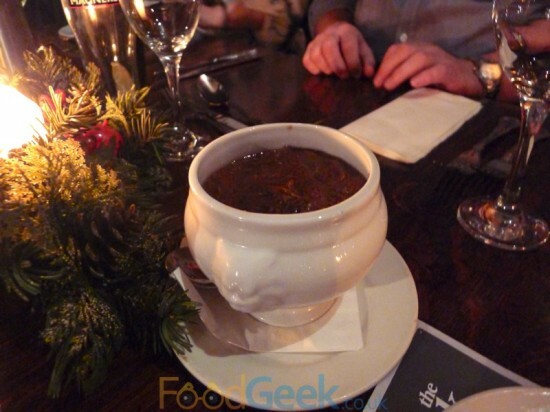 The second course, ‘Wild Rabbit Consommé’ was perfectly pleasant though not quite as flavoursome as i’d have liked. ‘Native Lobster Salad’ was a lovely light, fresh and tasty salad. 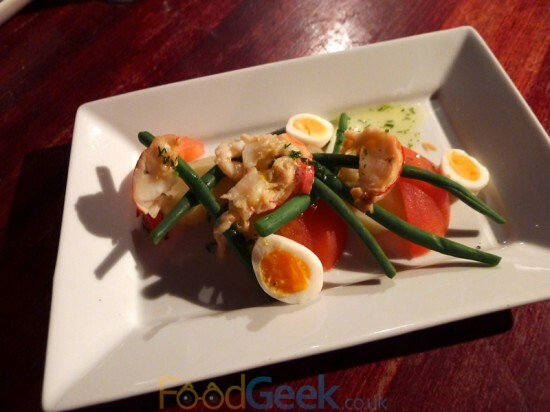 Almost a Niçoise with luxurious lobster in place of tuna. Apparently their fishmonger tried delivering Canadian lobster but chef Robert sent them back and insisted on Welsh lobster from Anglesey. I can’t say I could tell much of a difference to be honest but I applaud his dedication to local produce. Last time the main course was a rather epic ‘Roast within a roast within a roast’ with 5 baby animals literally roasted inside each other. 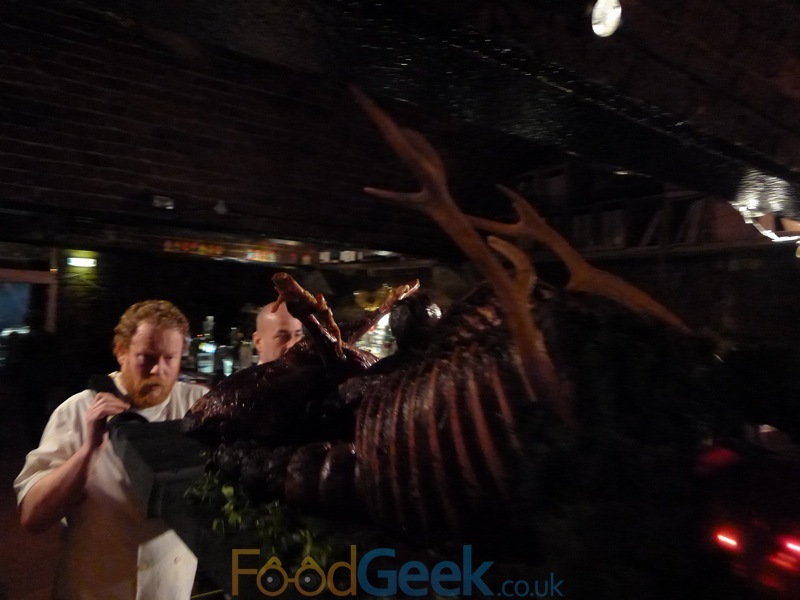 This time the ‘Majestic Game stuffed with Thyme, Truffle and Pheasants’ was just as spectacular and featured a whole stag which had been slowly spit roasted and stuffed with pheasants! 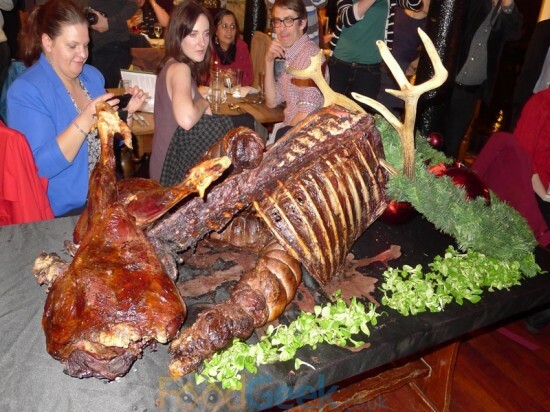 It arrived theatrically complete with Christmas decorations and antlers! When a dish arrives in such style it had better taste good and this certainly did. Both the pheasant and particularly the venison were fabulously tender and flavoursome pieces of meat. 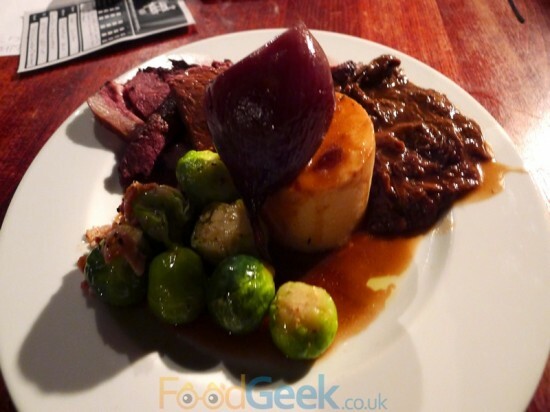 Served with a fondant potato, whole baked red onion, sprouts and intriguingly; red onion which had been slow-braised in honey, butter and Dandelion & Burdock. The latter of which i’d been looking forward to more than anything else on the menu. Unfortunately it ended up being the only thing I didn’t particularly like as for me it was far too sweet and although I like D&B and loved the idea of it I found it overpowering. That aside though this was a brilliant main course that lived up to its name and grand entrance. Dessert was a ‘Warm Christmas Cake Tart’, containing all the flavours of a good Christmas cake but without being too big or heavy and with the benefit of lovely soft pastry. 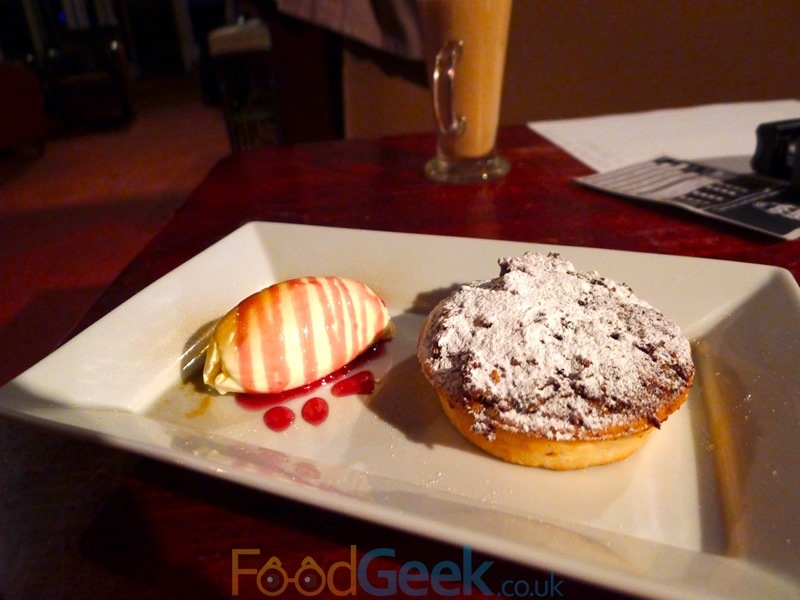 I loved the hint of rum in the tart and the generous helping of thick cream on the side. Despite eating far too much meat on the previous course I still managed to finish this in record time and would have happily eaten another it was so good. The final course should have been ‘Burts Blue with Vanilla Figs’, not being the biggest fan of blue cheese I was pleased when instead we got the most amazing, one day old curd. As Robert so eloquently put it “this was still in the cow yesterday”. 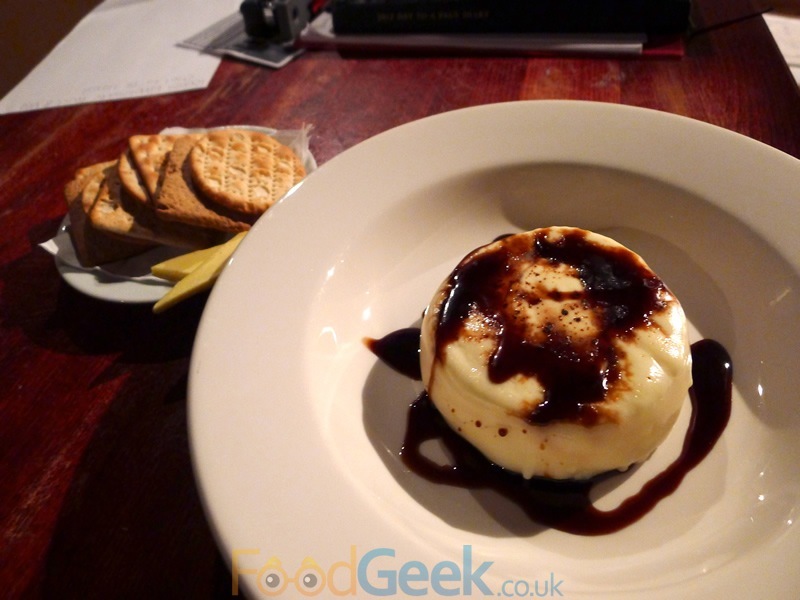 It was the first time i’d eaten fresh curd like this but it won’t be the last, it was absolutely delicious with the sweet balsamic dressing. A brilliant end to another fantastic meal. 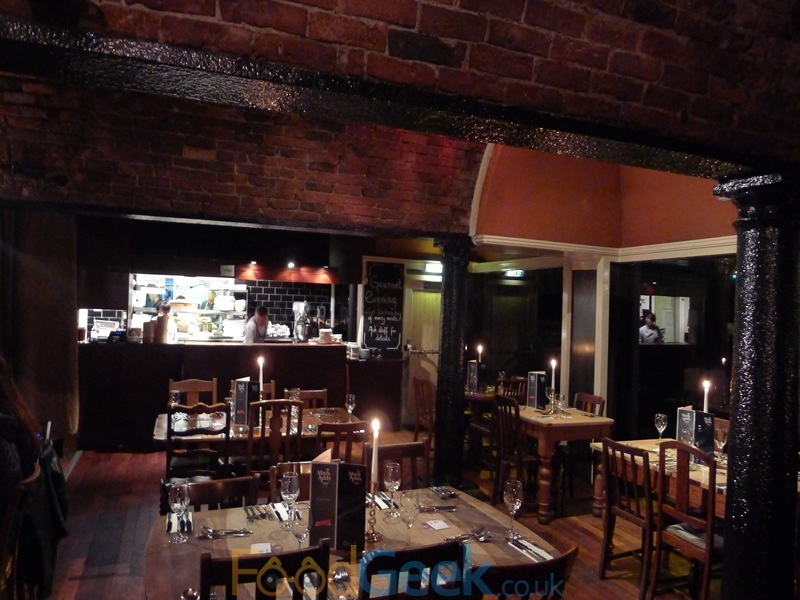 The atmosphere was great throughout the night, service was much improved on the previous event and we met some lovely people on our table. Overall it was one of the highlights of my year. 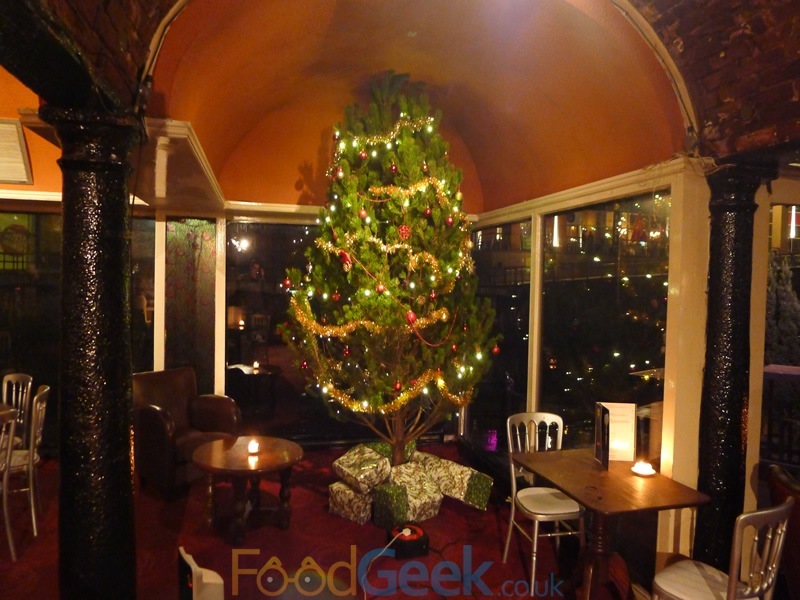 In fact, the only negative is the fact it was the last ever Gastroclub event, it’s a huge loss for Manchester but I totally understand Katie’s reasons for quitting. I just wish i’d made it to more than two events. It’s fitting that it ended where it all began in 2010 though and they certainly went out in style. 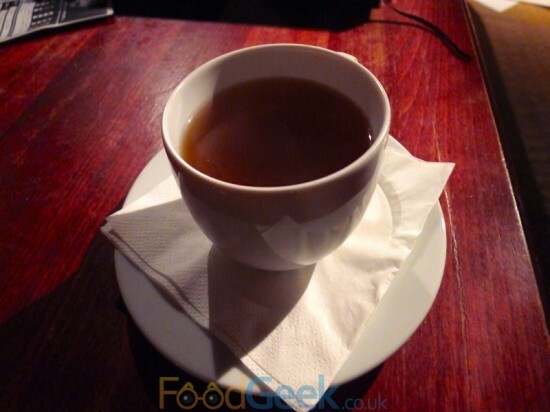 Previous: The Farmers Arms, Bolton – The Best Burgers In Town!